Scandinavian Travel Services offer an amazing tour to Myvatn lake area, which was a notable location in the third season of Game of Thrones. The duration of the trip is approximately 6-7 hours and there is a free pick up from hotels in Akureyri. So what can you expect from this tour? The men of the Night's Watch, which are shown in this popular HBO show, were actually filmed here in Iceland. In the TV show Jon Snow managed to unite the Wildlings and the members of the Night's Watch and you can see the places of these scenes in real life and feel the atmosphere here! It is not the first time that Iceland is used by cinematographers for its unique beauty and almost our of earth landscapes. You can read more about films that was shot in Iceland in this article. It is not surprise that Game of Thrones creators decided to pick Iceland as its magic sceneries fit perfectly into TV show's universe. 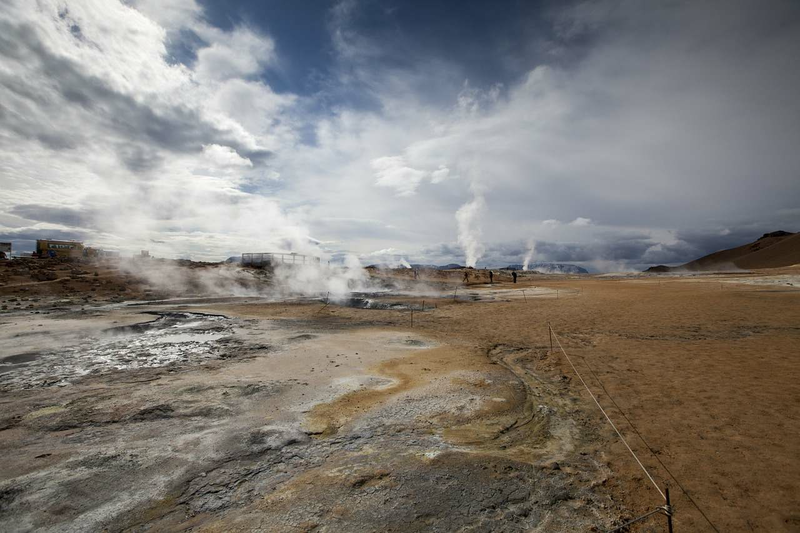 In this tour you will not only be able to see familiar landscapes, but also explore breathtaking geological features such as craters of geothermal spot Hverir with its bubbly hot stream. At the end of the trip you will have a chance to relax and bathe in one of the best hot springs in Iceland - The Myvatn Nature Baths. The tour will cost 22.000 ISK per person and you will need to bring with warm clothes, waterproof jacket and trousers, sunglasses and good hiking boots. The departure will take place at 9am at HOF Cultural House of Akureyri. You can read more about tour here.